As well as providing strategic support to the university and faculty managements, GIO staff offer expert advice to researchers in connection with research applications, and with the process of utilising and commercialising products or ideas. The GIO works directly with researchers, and also co-operates closely with faculty innovation co-ordinators, and with project leaders who are responsible for running overarching university projects within the GIO’s area of responsibility. Karlstad University, Linnaeus University, Mid Sweden University and Örebro University together form the innovation office ‘Fyrklövern’. Each university is an equal partner and a node of operations. Fyrklövern is a network-based partnership in which innovation support is developed jointly, and often at a distance, with flexible tools and methods. Among its other functions, the innovation office offers doctoral studentships at the partner universities, which develop the students’ ability to carry out and communicate their projects. The GIO works actively to build relationships with funding bodies, and provides expert support to research staff on every aspect of the funding application process. Its main aim is to encourage researchers to develop more of their ideas into full research projects, and to apply for external funding to support them. CTRIVE® (Competence-development Tool for Research: Intellectual Value Enhancement) is a course run by the GIO with ten components in workshop form, which provides researchers with a holistic and strategic view of their research. The course covers a wide range of topics, including communications and media strategies, embedding research impact, networking skills, and understanding the priorities of funders. Further information may be found here. During 2016 and 2017, the GIO will participate in the project Smart specialisering i Norra Mellansverige (Smart Specialisation in North-Central Sweden). The project is funded by the European Regional Development Fund. The project aims to strengthen the innovation processes in Dalarna, Gävleborg, and Värmland, through cooperation and exchanges of experience within and between these regions. The project activities are expected to result in increased and better cooperation between educational institutions and businesses, an accessible innovation system in which clusters, researchers, and innovation actors can work together to strengthen the capacity for innovation and increase competitiveness for small and medium-sized enterprises in North-Central Sweden. Read more about the project here. 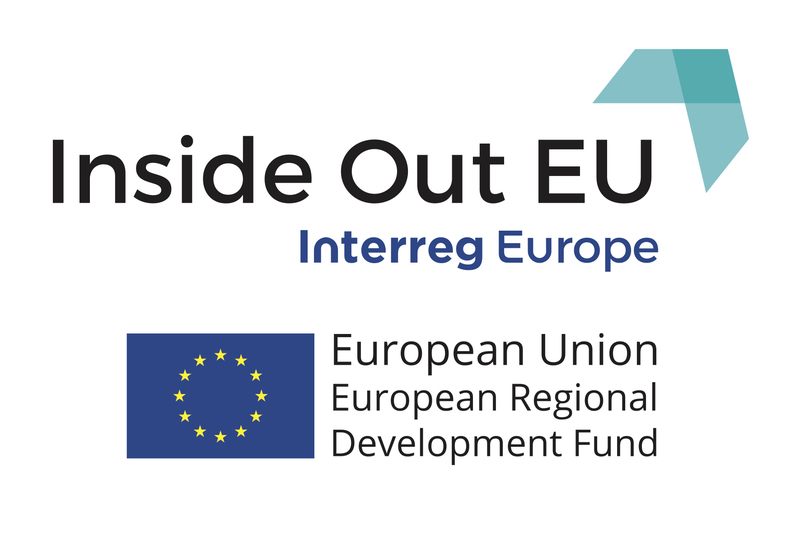 Between 2017 and 2021, the GIO will act as an Advisory Partner in the Interreg project Inside Out EU. The GIO will provide input on Karlstad University's collaboration with Region Värmland through the Academy for Smart Specialization, looking at ways in which the Academy can generate support for small and medium-sized enterprises in the region in terms of strengthening their competitiveness and internationalization. The project is funded by the Interreg Europe programme, through the field of action "small- and medium-sized enterprises’ competitiveness". Read more about the project here. From September 2017, the GIO will lead a three-year Erasmus+ Strategic Partnership in developing a skills programme to enhance the employability of research staff for careers both within and beyond academia. The project consortium includes research support and academic staff from Inland Norway University of Applied Science, Liverpool John Moores University, Nova University of Lisbon, and the Polytechnic Institute of Santarém. At present, research skills, largely derived from publicly-funded research degrees and projects, are often not fully utilised by researchers. Many struggle to progress within the academy, or to articulate their skills to non-academic employers, and so their potential is not fully realised. The TRANSPEER programme seeks to enhance the skills awareness and employability of a cross-disciplinary cohort of 36 participating researchers, drawn from the partner institutions. A key aim of the project is to make this training programme freely available for the future use of other universities across Europe and beyond. 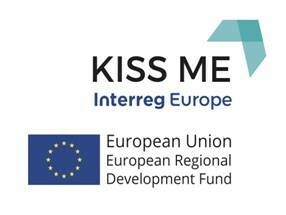 Between 2017 and 2021, the GIO is taking part as a stakeholder in the Interreg project KISS ME. The project aims to improve the innovation capacity and competitiveness of small and medium-sized enterprises by comparing and sharing the approaches of four different European regions. Thus, within the project, partners from the border regions of Germany and the Netherlands (Euregio Rhine-Waal), France and Spain (EGTC Pyrenees-Mediterranean ), Hungary and Croatia (HAMA-BICRO), and Sweden and Norway (Värmland County Administrative Board; Hedmark Count Council) work together.